While the party is over in Germany, you can still celebrate Oktoberfest at Yard House through October 28. Why fly to Germany when you can celebrate here in your own backyard? 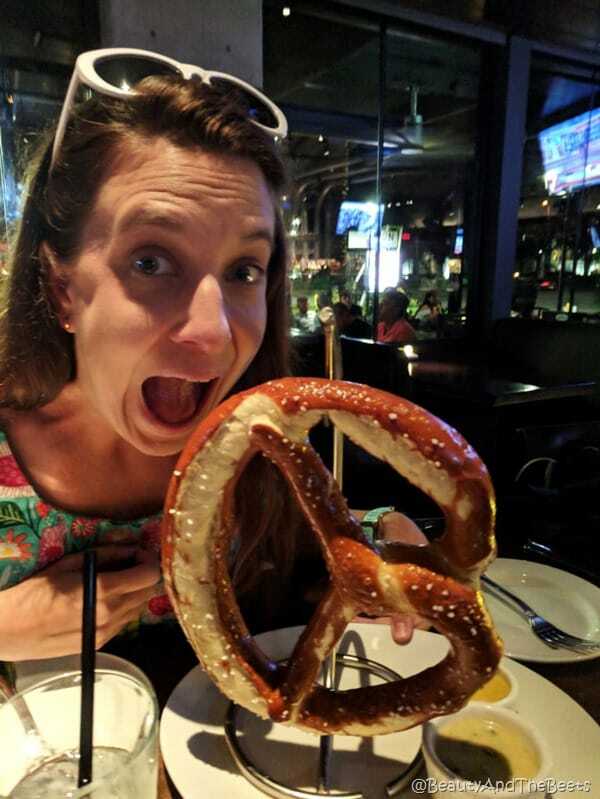 I was invited to an Oktoberfest dinner at Yard House Orlando and it was spectacular. 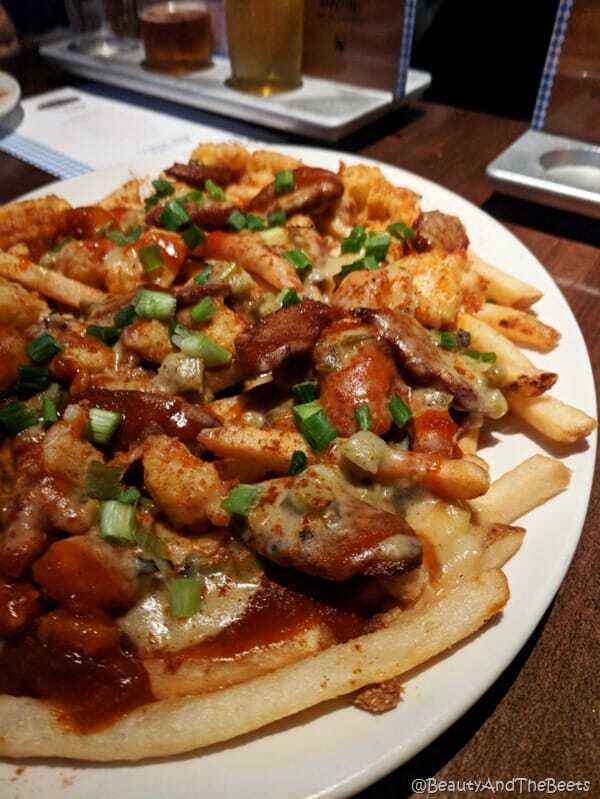 Two words: Currywurst Poutine. 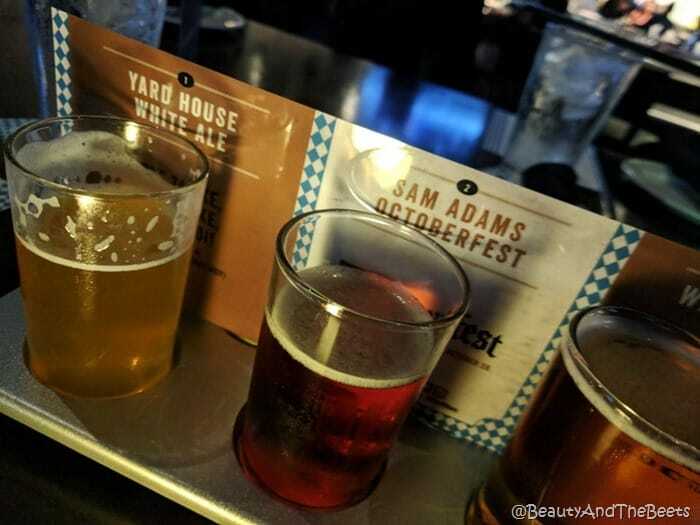 So to start the evening, we were introduced to several beers from Yard House’s own White Ale to Goose Island Oktoberfest to Weihenstephan Festbier. Each beer was paired with a dish from the Oktoberfest menu. 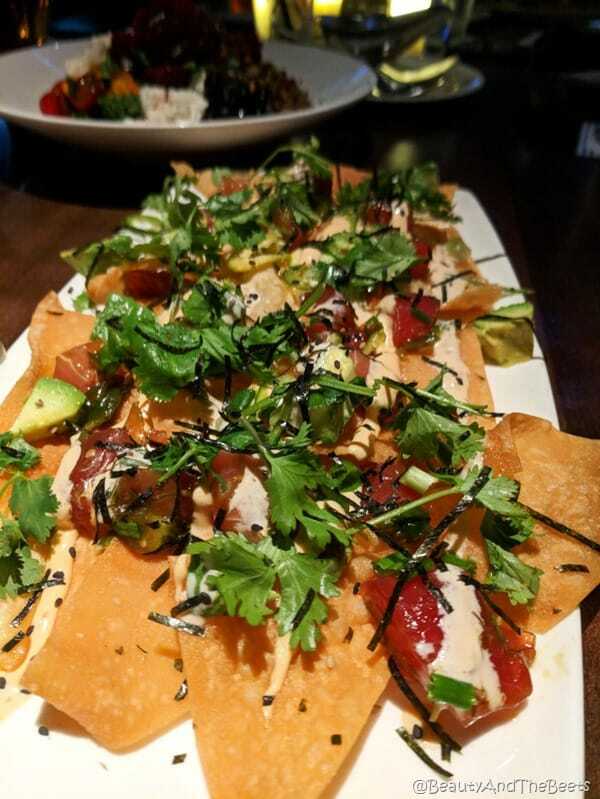 First up was a giant plate of Poke Nachos with marinated raw tuna ahi, crispy wontons and white truffle sauce. This dish is actually on the permanent menu and pairs well with the Yard House White Ale. 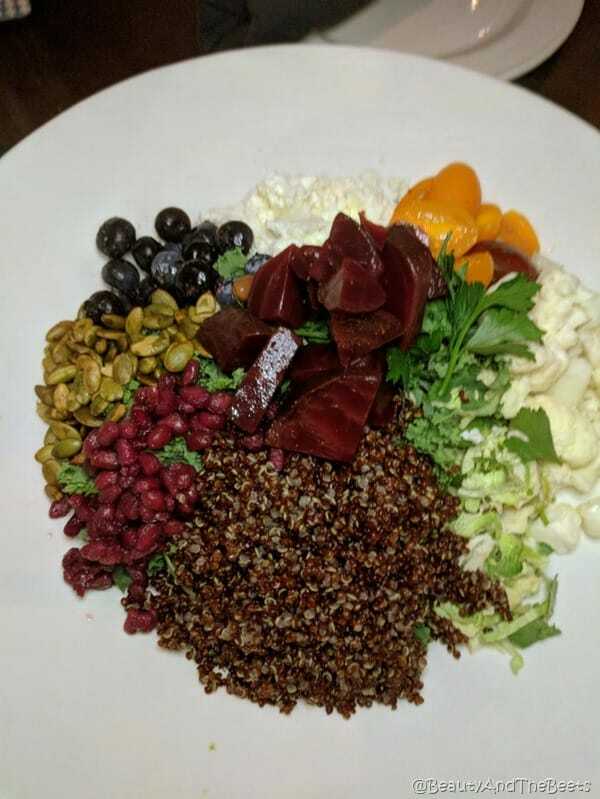 Also on the permanent menu is the Red Quinoa Salad with red beets and shaved Brussels sprouts which was paired with the Sam Adams Oktoberfest. Beets people, they serve beets…..
Our first taste on the Oktoberfest food menu was the Currywurst Poutine. 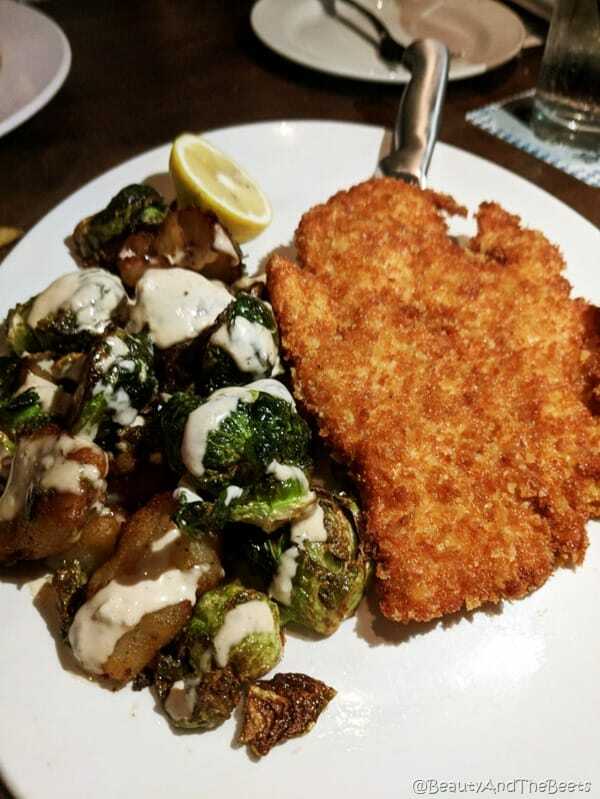 This amazing German twist on a Canadian dish was paired with the Weihenstephan Festbier. Fries topped with sliced currywurst, beer cheese, cheese curds, and green onions. My favorite dish of the evening. I am now petitioning my local Yard House to keep this plate around long after the Oktoberfest beer stops flowing. Meghan from Meghan on the Move won’t share her pretzel. However, a favorite of the table was the Goose Island Oktoberfest beer paired with a Jumbo Bavarian Pretzel. Full disclosure: I may be the only Philadelphian on the planet that actually will not eat pretzels. I actually dislike pretzels almost as much as I shun at honeydew and cantaloupe. However, the rest of the table fought over the pretzels. Offered with a beer cheese sauce, I believe this was the hands down favorite of everyone else. Next up was the Double Pork Burger matched with Paulaner Oktoberfest Wiesn. 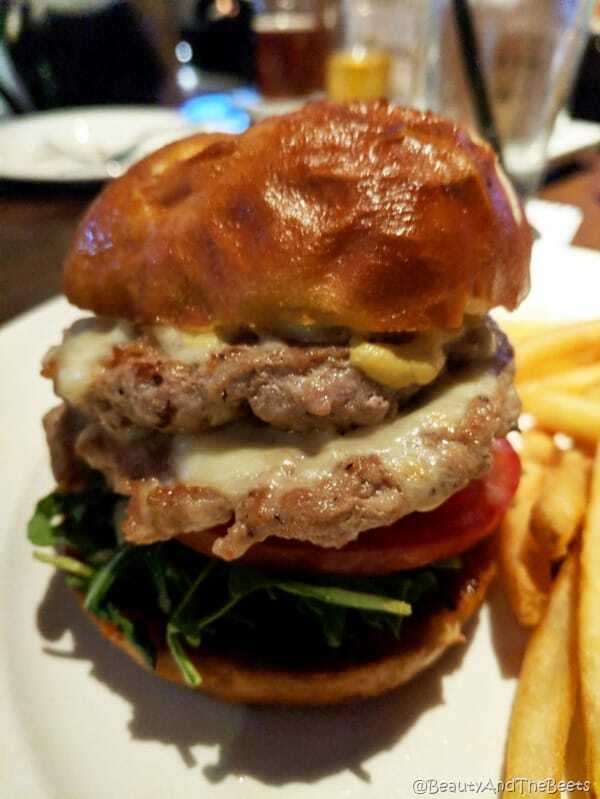 The burger was very good, a lot of meat with white cheddar and bacon tomato jam. For dessert we were served a mini trio sampler plate of Chocolate Soufflé Cake, Peach Apple Cobbler, and Cheesecake Brule. After our beer samples we were served a Magic Margarita. I don’t want to give anything away but the presentaion is pretty cool. You will just have to order one to learn the magic. 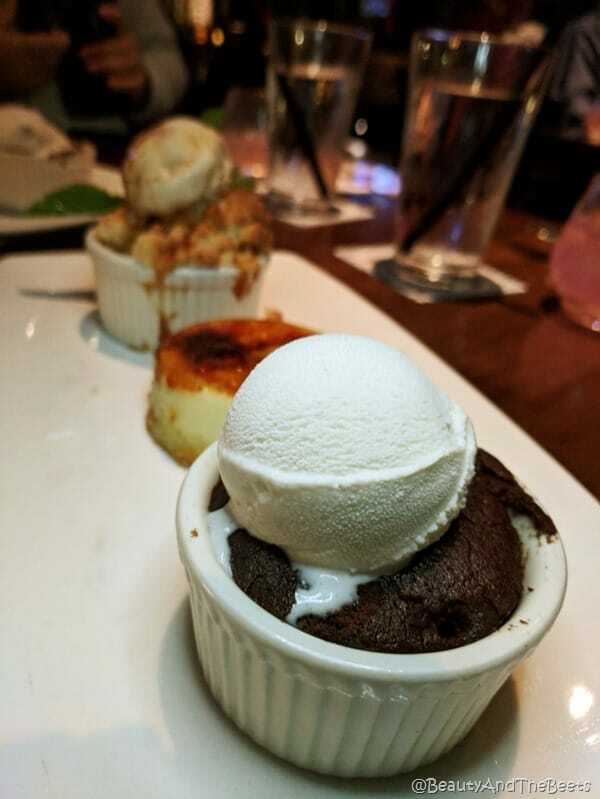 Thank you to staff of Yard House at the Icon I-Drive 360 complex. 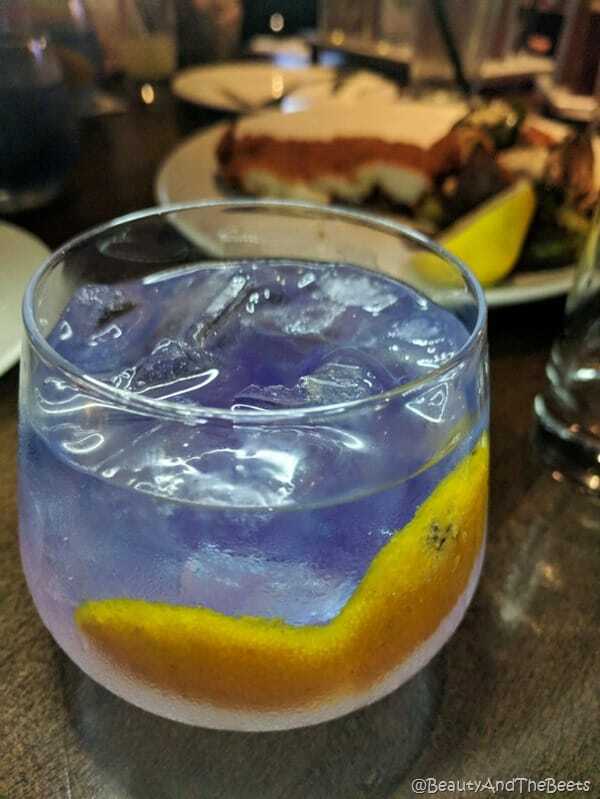 Thank you for hosting a group of hungry and thirsty media bloggers!